Kyle Calderwood, 32, says he’d always been heavy, but recalls really packing on the pounds in the years following college. “My wife and I joke that after we got married we became complacent.” He found himself relying on quick meals at restaurants and fast-food joints, while not exercising. Eventually Kyle blossomed to 332 pounds. Not only did Kyle’s health weigh on his mind, but his wife, who had recently started Weight Watchers herself, also began expressing concern that if they ever had children he wouldn’t have the energy to run around and play with them due to his weight. 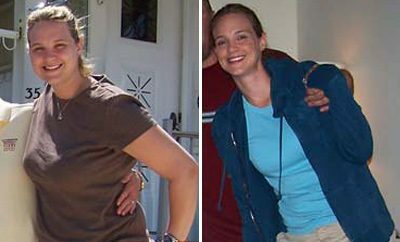 RELATED: Weight Loss Success Story: Christi Shed 68 Pounds And Begins Competing! At his wife’s urging, Kyle finally joined Weight. The program appealed to him because it allowed him to eat “normal” foods. “My first weigh-in was a real eye opener and a rude awakening,” he remembers. One of the most important things he learned was portion control. 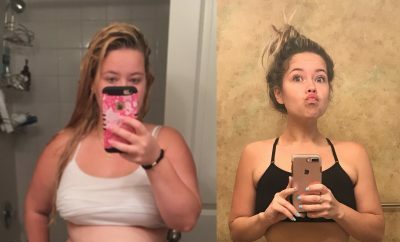 “I used to eat so much my stomach would hurt,” he says, “A major part of my weight loss was eating smaller meals.” With the program’s guidance he integrated more fruits, vegetables, and lean protein into his diet. He also made the decision to give up mayonnaise, which he says he used to put on everything, and fast food. While Kyle didn’t initially subscribe to an exercise plan, now he works out in a home gym nearly everyday. “I’m getting my tone back.” He also plans on starting to play basketball with his co-workers. Along with leaving 136 pounds in the dust, Kyle’s shrunk his waist, going from size 48 pants to a size 34. More importantly, his health is back on track, and recent blood work revealed that his blood pressure is right where it should be. “I’ve gotten a few years of my life back,” he says. Start small. 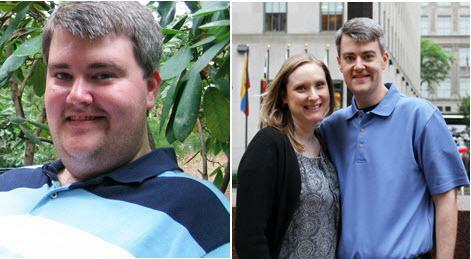 Weight Watchers’ incremental goals have helped Kyle stay focused. 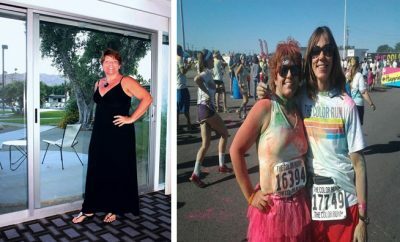 “If when I walked in there they told me I had to lose 135 pounds, I would have said there’s no way.” Instead Kyle began with a 20-pound goal, and then kept meeting additional weight loss targets.